Ever feel like the week drags along and Friday may never come? And on that note...Closing out the week with a little edge and a little lace. how do i say this without sounding creepy? hmm....i really love your style and your hair and your makeup. and that rarely happens for me. that top is insane and those heels and bag? get out of town. Edge and lace are the perfect combo in my book - I love this! Very cute! Love the blouse so much. Oh, I´m so obsessed with this outfit! Love the stylish skirt and pretty top, and that Peter Pan collar makes for such a nice touch! Amazing styling! really love the shoes; they look so comfy! great outfit too! I love this look the shoes are soooo fab!!! u look stunning as always. BEAUTIFUL!!!! Love, love, love this!! The bright top under the white lace is genius! I adore Peter Pan collars. You look stunning. So glad the weekend has arrived! I'm a sucker for lace in all forms. So glad I was able to meet you and your sister. You're so sweet, I hope to see you again soon Nicole! This is a stunning look - love the see through lace with the black accents - gorgeous! Love the textures going throughout this outfit; the delicacy of the sheer and lace with the jersey skirt, the colour glowing underneath with those killer Alexander Wang heels. Amazing! Beautiful combination. I do love the way you put your outfits together, always chic. Gotta love a little lace! Hope you're having a great weekend! awesome shirt love this look! 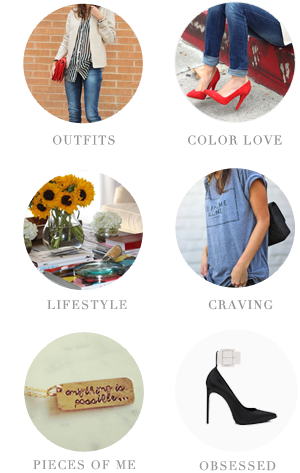 I spy a cute photo of us on my blog! I hope your weekend was enjoyable Nicole! love all the layers of visual interest. the lace, the amazing skirt, the collar?! perfect! Bottega と国連児童基金が協力の歩みは第６年入って、!bottega 財布!価格は比較的高めのボッテガヴェネタ　財布 近日は、ブランドは悦に発表”Bottega ｆｏｒ ＵＮ ＩＣＥＦ”特別な金銭鼠色の” Bottega の腕袋を宣言する! !